Social media platforms have captured the attention and imagination of many millions of people, enabling their users to develop and display their creativity, to empathize with others, and to find connection, communication and communion. But they are also surveillance systems through which those users become complicit in their own commercial exploitation. 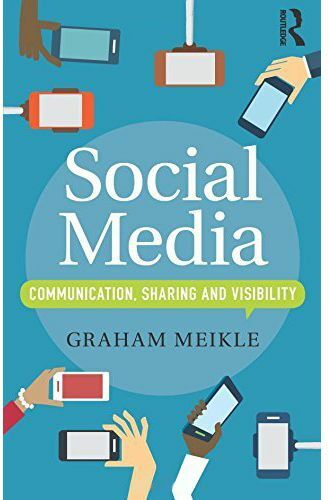 In this accessible book, Graham Meikles explores the tensions between these two aspects of social media. From Facebook and Twitter to Reedit and YouTube, Meikles examines social media as industries and as central sites for understanding the cultural politics of everyday life. Building on the new forms of communication and citizenship brought about by these platforms, he analyses the meanings of sharing and privacy, internet memes, remix cultures and citizen journalism. Throughout, Social Media engages with questions of visibility, performance, platforms and users, and demonstrates how networked digital media are adopted and adapted in an environment built around the convergence of personal and public communication.